Bringing together basic and clinical investigators to enhance the impact of their digestive and/or liver diseases research. NIDDK funds Digestive Diseases Centers via P30. Please see the DDRCC Application Resources for required tables and addition documentation. 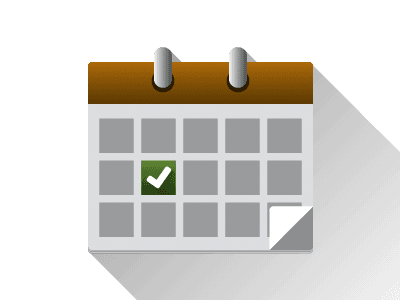 View the DDRCC current schedule of review for funded centers. Digestive Diseases Research Core Centers generate investigative resources that can be made available to the broader research community. Centers also often support pilot and feasibility programs that fund small grants to generate preliminary data to include in larger grant applications and offer enrichment activities. The NIDDK aims to integrate, coordinate, and foster interdisciplinary cooperation between groups of established investigators that conduct high-quality research on digestive and/or liver diseases. An existing base of outstanding digestive and/or liver disease-related research is a prerequisite for the establishment of a Center. Research in these Centers focuses on the etiology, treatment, and prevention of digestive and/or liver diseases. Each Digestive Diseases Research Core Center has its own individual theme, which reflects the research projects and interests of the Investigators constituting its membership. 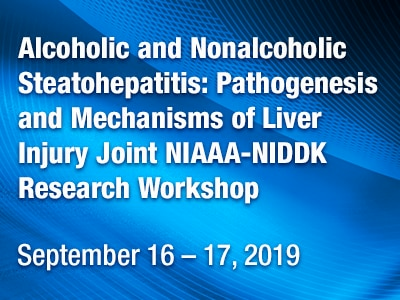 A Center’s theme serves to focus its activities to meet the needs of its members and facilitate a defined area of NIDDK-related digestive or liver diseases science. Further information about the Centers can be found on the overall Digestive Diseases Research Core Centers website as well as on the individual centers’ websites. Research Aims: The scientific focus of the Center revolves around the molecular controls of cellular growth and differentiation in the digestive tract, liver and pancreas with the goal of achieving a new level of integration in biology, pathobiology, and therapy. The targeted areas of pathobiology include genetic, malignant, and inflammatory disease of the liver, pancreas, and digestive tract. encompasses molecular studies on the biology or disease of the alimentary tract, pancreas, and liver. Research Aims: CSIBD has advanced the understanding of inflammatory bowel disease through the study of relevant basic biological processes and the directed study of the diseases themselves. Research Aims: Fosters pediatric digestive disease research and strives to make significant discoveries to restore digestive health. Research Aims: Cross-institutional and multi-disciplinary program between Case Western Reserve University (CWRU) and Cleveland Clinic Foundation. The center’s two major themes are digestive inflammation and metabolism, both of which represent well-established areas of collaborative investigation at CWRU. Attract talented, established investigators in other fields to apply their research skills and expertise to digestive disease-related investigations. Research Aims: Investigate signal transduction mechanisms regulating homeostasis and GI disorders. Our approach includes studies on genetics and gene regulation, cellular signaling pathways, receptors,and ion channels. Research Aims: The study of epithelial cell function and mucosal biology including inflammation and host defense of the gastrointestinal tract, we have a major focus on the intestinal and inflammatory bowel diseases; gut microbiology; and stem cell and developmental biology of the intestine and liver in organ physiology, regenerative medicine, and metabolism. Regulation of Epithelial Function, especially via changes in signal transduction, trafficking, and development. Epithelial Transporter Function and Regulation, including trafficking, protein-protein interactions, and bioinformatics. Inflammation, fibrosis, and cancer development, including infectious diarrheal diseases, inflammatory bowel diseases, fatty liver, alcoholic and non-alcoholic steatohepatitis, obesity, eosinophilic esophagitis, and pancreatitis. Epigenetic Aspects of GI Cancer. Studies that are translational in nature, utilize human tissues, and involve collaboration between a laboratory and clinical/translational investigator, are strongly encouraged. Research Aims: The mission of the Center for Cell Signaling in Gastroenterology (C-SiG) at Mayo Clinic is to improve understanding of the signaling pathways that control the function of gastrointestinal cells in health and disease. Research Aims: Facilitates on-going digestive diseases research, promotes translational research between basic and clinical areas, develops new projects, nurtures new investigators, and provides GI educational activities. Supports pilot/feasibility (P/F) projects in the area of GI-related research. Research Aims: Interests and activities of CURE have evolved along with science in this area and now include several facets of gastrointestinal regulatory physiology and cell biology. Funding will be available for high quality research in the biology, function and diseases of the digestive system, which is of relevance to the overall CURE Research Program, with special emphasis on receptor and signal transduction mechanisms, brain-gut interactions, gastrointestinal and pancreatic physiology and inflammation, and mechanisms underlying diseases of the digestive system. Research Aims: The scientific focus of the CGIBD is the study of inflammation as it relates to inflammatory bowel and other digestive diseases. proposed research must relate to digestive diseases. Research Aims: The goal of the Center is to integrate bench science with clinical investigation, in support of its mission to understand and cure human liver diseases. Research Aims: Facilitate the use of new technologies in the study of treatment of digestive diseases. Broad aspects of basic and translational/clinical research related to enteric microbiology, inflammation, and immunology of the digestive tract and pathogenesis, genetics, pathophysiology, and bench-to-bedside aspects of inflammatory bowel disease, celiac disease or food allergy will be given higher priority. Provides Vanderbilt investigators the opportunity to explore nascent, meritorious hypotheses related to digestive diseases with the ultimate goal being acquisition of external funding. This program hopes to encourage young investigators and more established investigators in other field to approach problems which are relevant to our understanding of normal intestinal, liver and pancreatic function and to digestive diseases. We are particularly interested in projects that address issues in mucosal immunity, epithelial injury/repair, microbial interactions with intestinal, hepatic and pancreatic tissues. We would like to encourage efforts addressing intestinal motility and the application of novel genetic models (e.g. C. elegans, Drosophilia, etc) to address questions in GI tract development. Projects utilizing Core Facilities and supporting young investigators are given priority if the science is equally meritorious.